According to the Senator, the NDC has been concerned from the onset about the Government’s approach. He said the Government approached the creation and implementation of the Programme in what appeared to be an incestuous way, and the NDC has a few grievances with this. Burke went on to name persons who are considered to be “politically exposed” and are aligned to the CBI Programme. The NDC previously called on persons like Mrs Anande Trotman–Joseph, wife of the then President of the Senate, Mr Lawrence Joseph; Ms Leslie-Ann Seon, Chairman of the GIDC; and Mrs Michelle Steele, wife of Hon Nickolas Steele, then Minister of Foreign Affairs, not to be aligned as Agents of the CBI Programme, due to their political exposure. “Notwithstanding these legal requirements, the Prime Minister refused to file the necessary reports,” said Burke. It was only until pressure was put on by the Opposition that it was announced that reports were being filed on the Government’s website. However, according to Burke, “to date, as far as we know, only 1 report has been filed” and given that the Programme began in 2014, there should be at least 5 or 6 reports. Another concern raised by Senator Burke is the patent lack of due diligence by the Government and its agents. 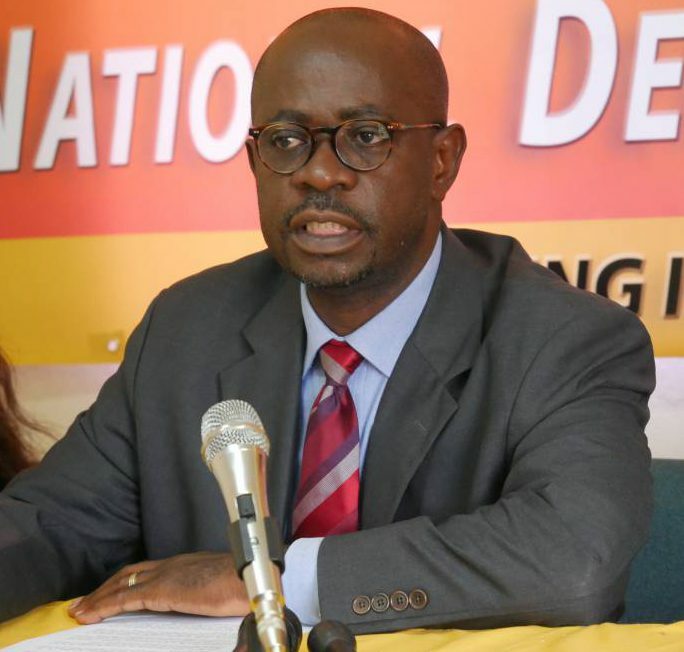 The NDC has raised questions regarding the 3 Chinese nationals who had their Grenadian passports revoked by the Government without any explanation offered. It was upon further investigation that those individuals were on China’s Most Wanted list. Burke said they were granted citizenship under an investment programme. Burke went on to make mention of Mr Charles Liu and “his $2 billion project in the Mt Hartman area,” which the NDC also questioned and were “attacked” on it. When the U.S. Securities and Exchange Commission (SEC) brought Mr Liu to Court, it was revealed that he collected US$27 million from 50 Chinese investors and approximately $18-19 million went toward his personal use. Most recently, concerns were raised about Robert Martin Oveson, who is associated with the Levera project. Mr Oveson’s character was examined when online sources revealed some questionable information about him. Despite the recent spate of concerns aired by the NDC, Senator Burke said “Government has said we are creating false alarms.” He said the Government has refused to act even when evidence has been brought to their attention. The NDC is of the opinion that there hasn’t been sufficient due diligence, and this is cause for concern and it puts the country at risk.